Until recently, the planets Uranus and Neptune did have Hebrew names. They were just known as Uranus and Neptune. Not anymore. In 2009 the Israel’s Academy of the Hebrew Language promoted a contest asking Israelis to select Hebrew names for Uranus and Neptune. The vote was done through the Internet and the result was as follows: the name oron won for Uranus by 2,808 votes against 1,539 over shahak, and the name rahav won for Neptune by 2,907 votes against 1,266 over tarshish. The former, it would seem, triumphed primarily because of an appealing association of sound, the latter because of an association of sense. Oron (the stress is on the second syllable) was coined by one of the contest’s Internet participants, from the Hebrew word or, meaning “light,” plus the diminutive suffix –on, thus giving us “little light.” Besides sounding like “Uranus,” it must have seemed fitting to those who voted for it, because the seventh planet is indeed a faint presence in the sky. Shah.ak, the runner-up, is a literary Hebrew word for “sky” that goes back to the Bible and would have been closer to Uranus in meaning, though without any phonetic similarity. As for the visible planets that were all known in ancient times, all have old Hebrew names going back to early rabbinic literature. Mercury is kokhav h.amah, “the sun star,” or sometimes just h.amah, because its orbit’s closeness to the sun makes it possible for us to see it only in the sun’s vicinity at dawn and dusk. (It is in fact extremely difficult to make out Mercury at all.) Venus, the brightest of all celestial bodies after the moon, is nogah, “the bright one.” Mars’s reddish color gave it the name of ma’adim, “the red one.” Jupiter in Hebrew is tsedek, which means “justice”; the Roman god Jupiter was the patron of justice and law, hence the Hebrew name. Saturn is shabtai, from shabbat, “Sabbath”; this is an ancient translation of the Roman dies Saturni, “the day of Saturn” (from which comes English “Saturday”), who was the god thought to preside over the seventh day of the week. I am not a scientist, but in my book Pluto is still a planet. Maybe, I will have to wait until 2015 when New Horizons, NASA’s mission to Pluto, will confirm whether Pluto is just a hunk of ice in the Kuiper belt or it is indeed the ninth planet in the solar system. This entry was posted in NASA and tagged Neptune, Oron, Pluto, Rahav, Uranus. Bookmark the permalink. Pluto? I'd say Kelev Shamim (כלב שמים), or "Dog of the Sky." That is very creative. I think it is a great name. Would the scientific community accept this name for Pluto? You're right; Pluto is still a planet; it's both a planet and a Kuiper Belt Object. Only four percent of the IAU voted on the controversial demotion, and most are not planetary scientists. 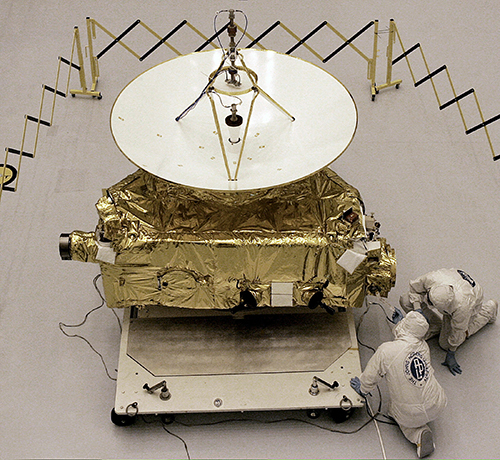 Their decision was immediately opposed in a formal petition by hundreds of professional astronomers led by Dr. Alan Stern, Principal Investigator of NASA’s New Horizons mission to Pluto. One reason the IAU definition makes no sense is it says dwarf planets are not planets at all! That is like saying a grizzly bear is not a bear, and it is inconsistent with the use of the term “dwarf” in astronomy, where dwarf stars are still stars, and dwarf galaxies are still galaxies. Also, the IAU definition classifies objects solely by where they are while ignoring what they are. If Earth were in Pluto’s orbit, according to the IAU definition, it would not be a planet either. A definition that takes the same object and makes it a planet in one location and not a planet in another is essentially useless. Pluto is a planet because it is spherical, meaning it is large enough to be pulled into a round shape by its own gravity–a state known as hydrostatic equilibrium and characteristic of planets, not of shapeless asteroids held together by chemical bonds. These reasons are why many astronomers, lay people, and educators are either ignoring the demotion entirely or working to get it overturned. In April 2009, I wrote a letter in the "Jerusalem Post" asking Israel's Academy of Hebrew Language to not blindly accept the controversial demotion of Pluto and to add Pluto to this contest. I reaffirm this request now. Thank for your affirmation on behalf of Pluto. Most people who love astronomy believe that the demotion of Pluto was unfortunate. You can count on me to support the effort to pressure the IAU to reverse their decision. Thank you for your support for planet Pluto! How ignorant of the Israelies to call neptune 'rahav' the mythological sea monster. It is clear to anyone that the sea monster or Leviathan mentioned in the bible is referring to Satan and his organization. It's descrition is given by God on Job 41:1-10 and then it's future destruction is told on Isaias 27:1Therefore they just finished calling Neptune 'Satan'.. funny guys! I recommend that you study the Bible a little deeper than you have done so far.Leviathan is not a reference to Satan. Thanks for the advise, I would gladly appreciate any corrections or misinterpretations on my part as long as you can provide biblican support. I personally don't want to start a discussion about it here, as I know you probably don't want to do it either, let the bible speak 4 u.